Serving K-14 Education, Districts, Teachers, Foundations, Non-Profits and training teams across the US and internationally. ​Engaging with district, schools and educators to provide professional development, lead successful PLC's, A-G course approval, dual articulation, scope and sequence mapping, teacher training and blended learning integration for K-12 communities world-wide for over 20 years. Facility and learning space design/ modifications. Schedule an Appointment with our team to discuss your needs today! Dawns deep knowledge whirlwind of energy are infectious, both with her business clients and the secondary/ post secondary educational programs she works with. She has led teams of innovators to win over $100,000 in Local and National Hack-A-Thons, innovation and engineering tournaments, digital and live, including the SAP Hack-a-thon, World Series of Innovation, and Moody Innovation Challenges won by teams designing solutions to our business and societal problems. She is well known as a ‘technophile’ and has been teaching in a blended/ flipped classroom for over 10 years. She trains in a plethora of Ed Tech solutions, automation software as well as Google Education for the last 10 years and is considered an expert in STEAM, leadership, design thinking and design sprints. During her early career, she was the post-Hurricane Andrew Program Manager for the Girl Scouts USA, Council of Tropical Florida, rebuilding both sites in the Maker-Ed style primarily for educational and recreational programming and social responsibility, as well as reestablished all regional program development after the Level 5 hurricane devastated South Florida. She then became the sole proprietor of Mad Science of South Florida, a science edu-tainment franchise serving youth k-8 with content aligned to the national science standards. 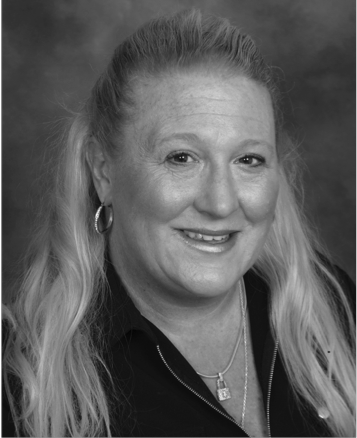 Dawn has extensive experience in educational and program facility build-outs due to her varied career experiences. From construction to re-purposing she has been working and leading design teams for program spaces for over 20 years. She’s specialized in mixed use for self guided and instructional led outdoor educational facilities, Maker spaces, CTE workspaces, entrepreneurial and student-run business spaces, STEAM facilities, secondary and post secondary education laboratories, culinary instructional areas, robotic and agricultural science learning and testing program sites. Keeping all users engaged in the process, and making sure that spaces are utilized for maximum success in learning and showcasing work. After selling her Mad Science franchise, she went on to become a business and educational consultant, which she has continued for over 20 years, specializing in large project management, automation, business analytics and scale up, call centers, branding, product marketing and database CRM, as well as web and print advertising, market research & vertical product and service expansions for small businesses and entrepreneurs. She has begun successful student-run enterprises at several of the schools she has taught, as well as achieved top academic API, AP and CAHSEE scores with the students she has served. She has a reputation for a loving, deeply passionate teacher, consultant and learner, who attempts to see her community partners, clients and students as humans first. As the previous core instructor with Eden Area ROP, at San Leandro Academy For Business and Finance, was a rewarding experience , as she was able to teach in a 3 year pathway cohort of business classes. Dawn was recognized in 2012 as the Bay Area Entrepreneurial teacher of the year as well as a Microsoft Hero in Education. Again, in 2016 she was honored to receive the Bay Area Entrepreneurial teacher of the year recognition, and the inaugural 2016 John C. Whitehead Global Entrepreneurial Educator of the Year Award. Dawn holds a Bachelors of Arts in Communication Management from the University Of Dayton. She holds Clear California Teaching Credentials in Biology and English, with a second language learner focus. Her MBA is currently in progress. In addition, she also holds Career Technical Education Credentials in Marketing, Business, Finance, Sales and Service and Entrepreneurship. Our team of expert educational project specialists have a combined 200 years of education experience in some of the most innovative and high performing public, private, charter and non-profit educational programs internationally. Bringing relevant, innovative and engaging practices and curriculum to k-14 educators.